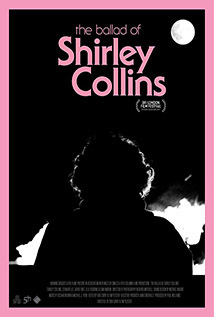 Shirley Collins was at the epicentre of the folk music revival during the 1960's and '70s, before a vocal disorder robbed her of her uniquely ancestral singing voice. In 1978, Collins was performing the folk standard Lark Rise at the National Theatre in London, when she suddenly lost her voice. It took her several years of appointments and examinations to receive the diagnosis of dysphonia. Visits to various English festivals and intimate access to recording sessions for her 2016 album Lodestar, Collins speaks movingly about the music she has worked so hard to catalogue and enliven for years. Making adventurous use of a motherlode of seminal archive audio, ‘The Ballad of Shirley Collins’ chronicles one woman's gallant battle to rise phoenix-like from long silent ashes.